CAIRO (AP) — Egypt’s top Muslim cleric has stirred up controversy after saying that polygamy is an “injustice” for women, but stopped short of calling for a ban on the practice. “Those who say that marriage must be polygamous are all wrong. We have to read the (Quranic) verse in full, said Sheikh Ahmed al-Tayeb, Al-Azhar’s Grand Imam. He said that monogamy was the rule and polygamy a restricted exception. It is restricted in Islam and requires fairness and “if there is not fairness it is forbidden to have more than one wife,” he said. The Grand Imam also called for a broader revamp of how women’s issues are addressed. “Women represent half of society. If we don’t care for them it’s like walking on one foot only,” he said. His comments, aired Friday on state TV, sparked a heated debate on social media, with some siding with scholars calling for a ban on the practice and others mostly Salfi people encoring men to marry more than one woman. Egypt’s National Council for Women welcomed al-Tayeb’s comments. “Islam honors women, treats them fairly and gives them numerous rights which didn’t exist before,” said Maya Morsi, the council’s chairwoman. Some users however argued that polygamy is good for women. “Polygamy is the social solution for (female) celibacy which has been horribly exacerbated,” wrote Sameh Hamouda, a cleric from Alexandria, in a Facebook post. 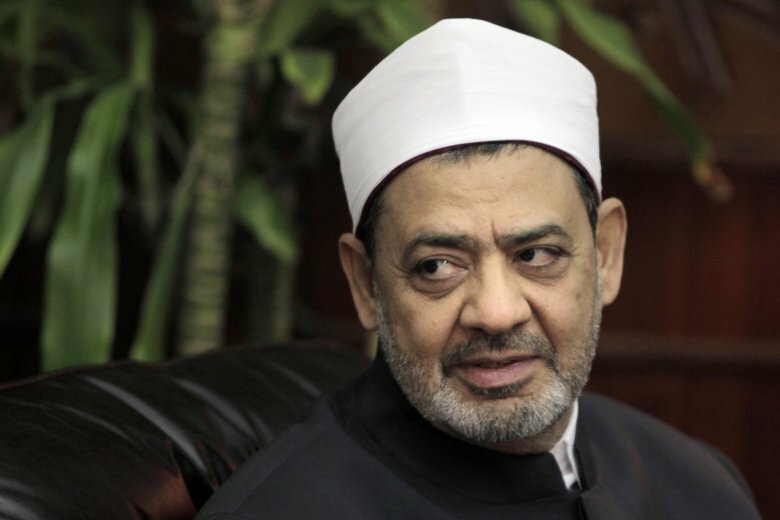 Al-Azhar sought on Saturday to clarify the comments, saying that al-Tayeb wasn’t calling for a ban on polygamy. Islam allows men to take up to four wives on the condition that they’re treated equally. Though polygamy is legal in most Arab and Islamic countries, the practice is uncommon. Regionally, polygamy is banned in Tunisia and Turkey, and for Arab Muslims in Israel. In Egypt, the husband must disclose his current marriage, or marriages, if he hopes to marry more. Also, the first wife has the right to request a divorce within one year of learning of a second marriage if she objects to it. In May 2018, lawmaker Abla el-Hawari drafted a bill to jail men who remarry without informing their current wife, or wives, in attempts to restrict and regulate polygamy in the most Arab populous country.